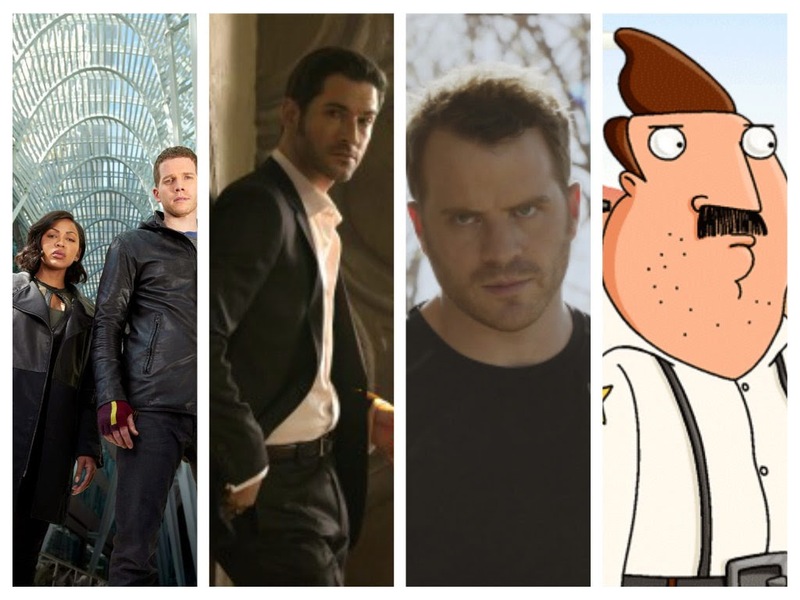 During Fox's upfront presentation to advertisers, the network debuted a number of trailers most notably for 'Minority Report', 'Lucifer', 'The Frankenstein Code,' and 'Bordertown. 'A trailer for the much-anticipated return of 'The X-Files' was not available. Watch the trailers and synopsis for shows you'll probably enjoy before Fox decides to cancel anyway. From FAMILY GUY’s Mark Hentemann comes BORDERTOWN, a new animated comedy about two families living in a Southwest desert town on the U.S. - Mexico border. The series takes a satirical look at the cultural shifts occurring in America, where the U.S. Census forecasts that by 2017, ethnic minorities will become the majority. Set against this increasingly diverse backdrop, the comedy explores family, politics and everything in between with a cross-cultural wink. BORDERTOWN centers on two clans: the Buckwalds and the Gonzalezes. BUD BUCKWALD (Hank Azaria, THE SIMPSONS) is a married father of three and a Border Patrol agent who is just a tad behind the times and feels slightly threatened by the cultural changes transforming his neighborhood. He lives next door to ERNESTO GONZALEZ (Nicholas Gonzalez, SLEEPY HOLLOW), an ambitious family man, who has been in the country less than 10 years, but is already doing better than Bud – which, it turns out, is a bit of an issue for Bud. Bud is married to JANICE BUCKWALD (Alex Borstein, FAMILY GUY), both the wisest and most oblivious member of the family. The Buckwald kids include BECKY (Borstein), a socially awkward, big-boned geek; SANFORD (Judah Friedlander, “30 Rock”), a loser who thinks he’s a player; and GERT (Missi Pyle, “The Exes,” “Galaxy Quest”), a beauty pageant-obsessed five-year-old with a pet pig. What would you do with a second chance? From executive producer/writer Rand Ravich (“Life,” “Crisis”) and executive producer Howard Gordon (“Homeland,” “24”) comes THE FRANKENSTEIN CODE, a modern reimagining of the Mary Shelley classic, about a man brought back to life by two scientists playing god. Seventy-five-year-old JIMMY PRITCHARD (guest star Philip Baker Hall, “Modern Family,” “Magnolia”) is a shell of his former self. A drinker, a womanizer and a father who always put work before family, Pritchard was forced to resign as L.A. County Sheriff for corrupt conduct more than a decade ago. The future is coming. Based on the international blockbuster film by executive producer Steven Spielberg and the first of his films to be adapted for television, MINORITY REPORT follows the unlikely partnership between a man haunted by the future and a cop haunted by her past, as they race to stop the worst crimes of the year 2065 before they happen. The Devil has come to Los Angeles…Based upon the characters created by Neil Gaiman, Sam Kieth and Mike Dringenberg for DC Entertainment’s Vertigo imprint, LUCIFER is the story of the original fallen angel. Bored and unhappy as the Lord of Hell, LUCIFER MORNINGSTAR (Tom Ellis, “Merlin”) has abandoned his throne and retired to L.A., where he owns Lux, an upscale nightclub.